With over twenty years of combined clinical experience, Danielle Hayes and Ellen Lindsey oversee the staff and daily operations at Therapy Austin. Founded in the spring of 2012, Therapy Austin is a reduced-fee counseling agency located in central Austin, whose mission is to provide high quality mental health services to adult clients with limited resources and full schedules. We offer a nontraditional sliding scale and flexible hours to our clients. Co-founders Ellen Lindsey and Danielle Hayes have officed together for many years. With social work a common background, they have shared many cases, trained jointly, and even purchased an office space together. Over the course of their professional relationship, they discovered that their styles are complementary and their career goals compatible. Once Danielle and Ellen were settled in their new permanent office, they set out to launch an internal agency that could serve the mental health concerns of people in need in our community. The Therapy Austin staff is hand-picked from the finest of Austin's counseling and social work graduates. As co-directors of the agency, Ellen and Danielle share in the day-to-day functioning of this agency and in developing their vision - providing a rich training ground to promising interns and affordable and accessible services to the people of Austin. Danielle Hayes brings a wealth of experience and training to her service at Therapy Austin. During her eleven years as a social worker, she has worked with many populations of all socio-economic backgrounds and with clients of varied mental health needs. She has treated adults and adolescents, welcoming all ethnicities, orientations and affiliations. Currently, she runs her own private practice, treating depression, anxiety, addiction, abuse, trauma, eating disorders, relationship issues, and impulse control issues. 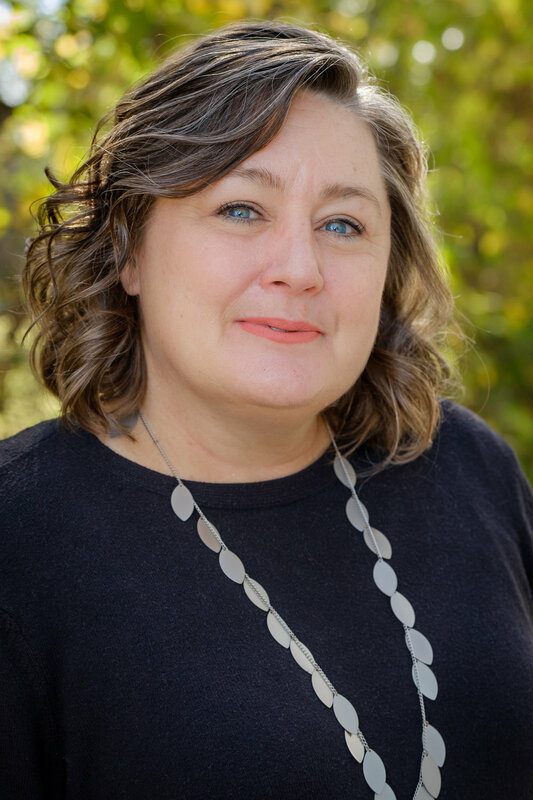 She is trained in Psychodynamic Therapy, Cognitive Behavioral Therapy, Dialectical Behavior Therapy, and EMDR and is certified in Conflict Resolution. To learn more about Danielle's private practice, visit her website. Since 2003, Ellen has run her own private practice serving adults who present with struggles in relationships, anxiety, grief, divorce and life transitions. She works with clients from a strengths-based perspective, building on qualities they have, instead of focusing on what is missing. Her training includes Psychodynamic Therapy, Cognitive Behavioral Therapy, Mindfulness, Focussing, EMDR, and Acceptance and Commitment Therapy. Find out more about Ellen's private practice by visiting her website. Roxanne joined Therapy Austin in 2015 as part of the counseling staff. She loved the agency so much, she agreed to join our Leadership Team and stay on full-time, both as counselor and administrator. As a Coordinator, her commitment, dedication, and strength of leadership shone through, which made her the ideal choice for Assistant Director, a new position created in 2018. Roxanne oversees our recruitment process and assists the directors in visioning our continued development. DeLinda is an expert clinician and a passionate educator. In her role at Therapy Austin, she offers clinical consultation and training to our counseling staff, both one-on-one and in groups. With the gifts of experience, wisdom, approachability and compassion, she is a cherished leader and mentor in our agency. Staff need never feel lost in a challenging case, because DeLinda is readily available, with a bright light to guide their way.